Books that feature deaf/ hard of hearing characters or protagonists should be added to every child's collection! Whether you are the parent of a deaf child or the parent of a hearing child, introducing developing young minds to deafness can help cultivate an appreciation for human diversity. Literature is one of the most powerful ways we come to understand society and our place in it. 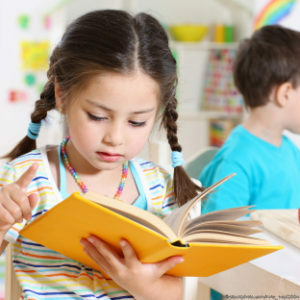 Through books, children learn about relationships, conflicts, empathy, morality, and how to classify their own emotions. Stepping into the lives of fictional characters, kids can experience a wide array of influential events in a very meaningful way-- travel, adventure danger, love, loss, death-- expanding their perspective, while remaining in a safe environment. When choosing books for young children, then, it is important to consider the reality that is presented. Does your child's library reflect the multiculturalism of the world we live in? 1. Help children understand that deafness is a medical condition that has different levels, and that different people who are deaf can navigate the world in a wide variety of ways. 2. Help children understand Deaf Culture and what it means to have Deaf identity. 3. Help children understand that Sign Language is a visual language and why it is important. 4. Familiarize children with the characteristics of people who are deaf/ HoH. For example, they may have hearing aids, cochlear implants, or an "accent." 5. Learn how to effectively overcome simple communication barriers in everyday situations. 6. Learn how to welcome deaf children as friends. 7. See the value of having diverse friend groups and the benefits of diversity in all situations. 8. Important for deaf children to see themselves represented. 9. See deaf/HoH individuals as role models. 10. View deaf/HoH individuals as interesting and complex people worth getting to know. Do you have recommendations for children's books that feature deaf characters, protagonists, or deafness as a theme? Please share your favorites in the comments!